If you are a big fan of theatre and want to experience something different, then go and see Every Year, Every day, I Am Walking, at the Oval House Theatre, London. It is beautifully put together and in its simplicity, one of the most sophisticated piece of theatre I have seen lately. I had heard so much about Physical theatre, especially at university when I was doing Drama writing but I had never once seen a production that was solely of that form. Every Year, Every day, I am Walking is produced by the Magnet Theatre, all the way from South Africa. Now you know they know how to do theatre in South Africa, so you best hurry and get yourself a ticket before it ends on 13 March. I won’t spoil your fun and blab on and on about it, just go and see it. You will be blown away by a production that uses minimum dialogue, maximum body language and physicality, yet conveys universal themes that are powerful and resonant. 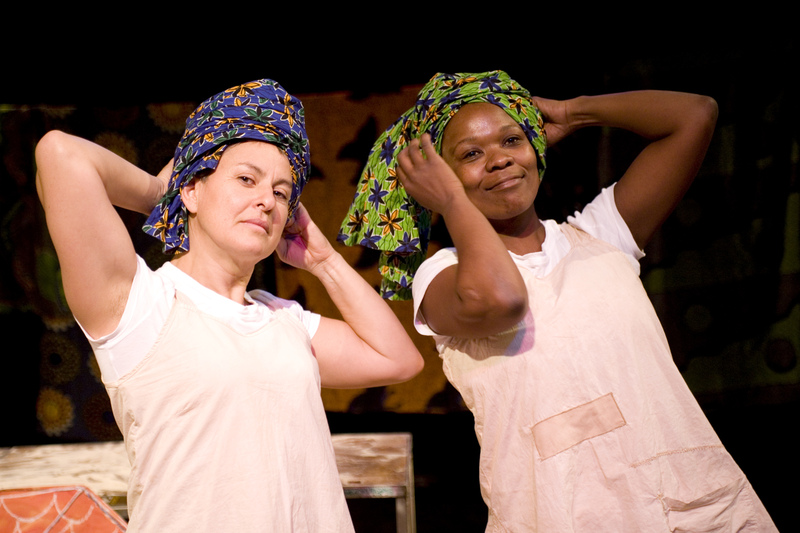 This entry was posted on Wednesday, March 3rd, 2010 at 12:43 pm	and is filed under Africa, Theatre Reviews. You can follow any responses to this entry through the RSS 2.0 feed. You can leave a response, or trackback from your own site.